Arts writer & blogger. Found at gallery openings with free wine. Have you written your Christmas cards yet? I always try to find unique fine art Christmas cards to send to friends and family. Any excuse to dress up art history as a Christmas gift! This year I’m sending fine art parodied in seasonal style by Easy Street Publications. 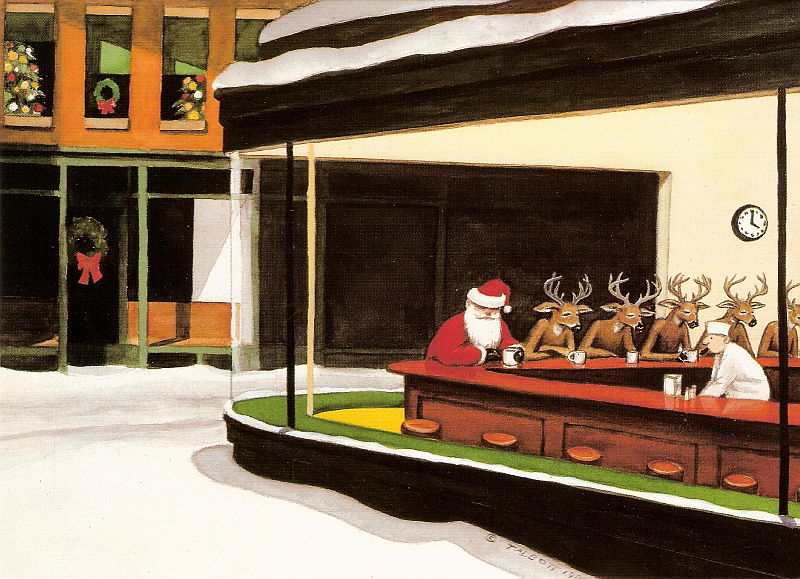 These were my favourite designs, as Santa makes his way around art history. How many of the original artworks do you know? Santa’s a pretty good manager. He instils his team with a sense of camaraderie before they pull him around the world all night. Jingle Bell Rock is this year’s song choice for their team dance. And he’s off. The stars are out. Let the Christmas magic begin. 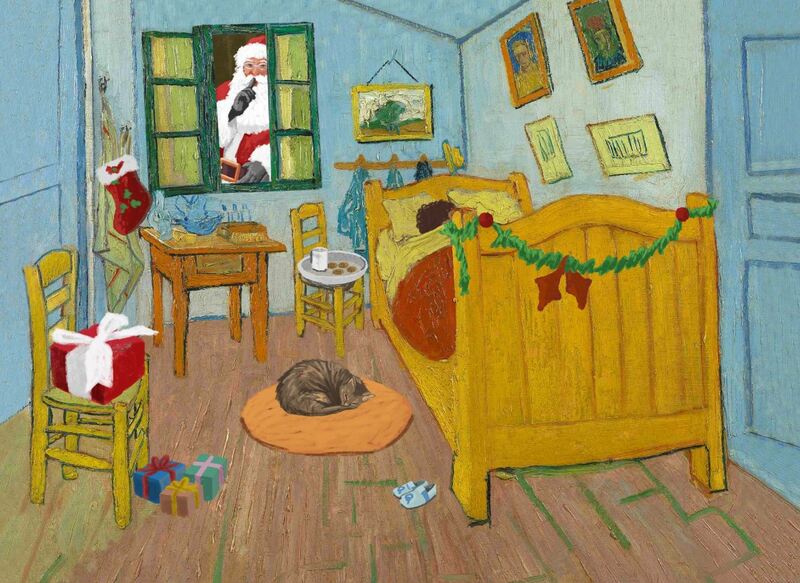 Santa’s first stop is in Arles. He appreciates the milk, cookies, and art on the walls. He’s brought this wannabe artist some new brushes. And a bunch of sunflowers. Disaster! The weather turned and Santa’s sleigh has been shot out of the sky by lightening. 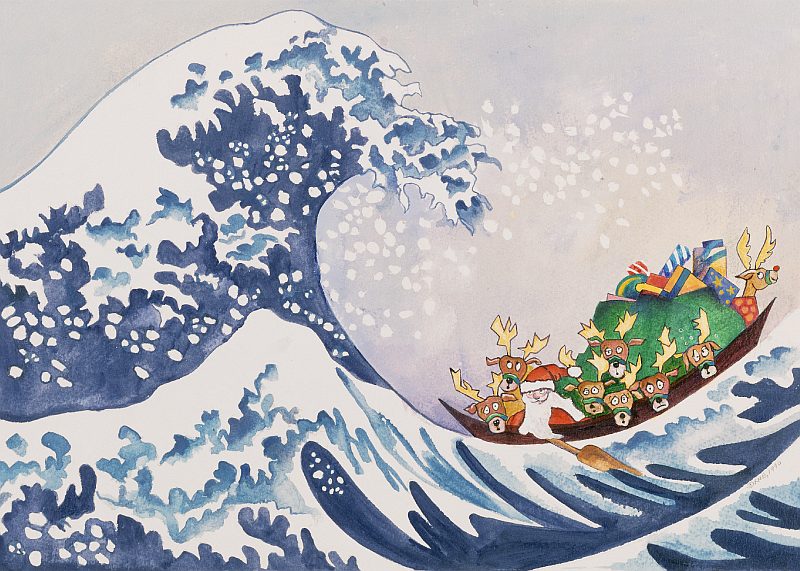 Santa must steer his crew through an enormous wave to reach the shores of Japan. In the early hours of Christmas morning, one child asks his parents why his presents are a little bit wet. What a night! 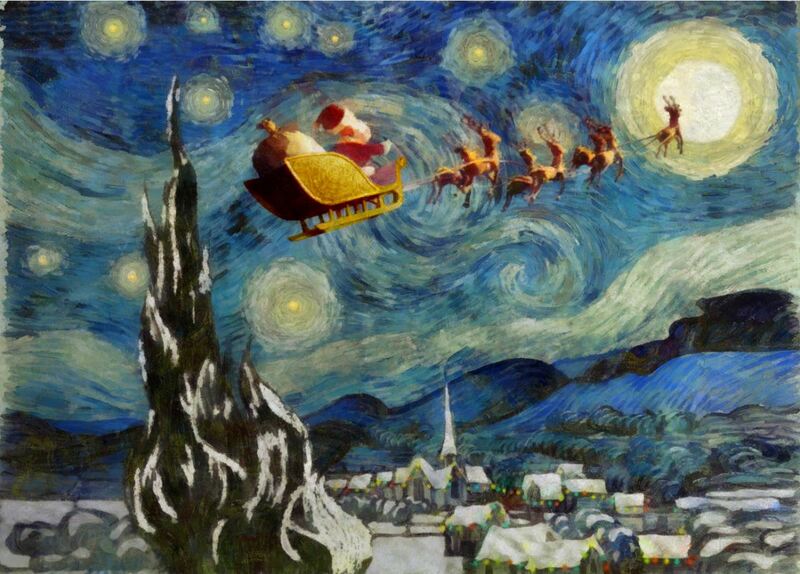 By 4am Santa’s shift is over. What does he do? He heads to a downtown diner in New York to sip on mulled wine, or something stronger. Mrs Claus can wait a few more hours for his return. 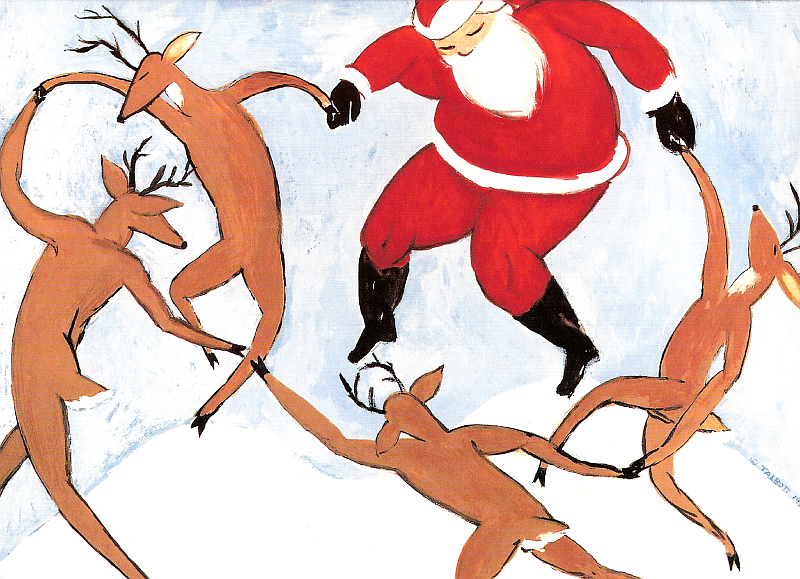 Want to see more fine art Christmas card designs by Easy Street Publications? You can find their online shop here. Looking for Christmas gifts for art lovers? I’ve made my wish list here. Do you agree? The cards were gifted by Easy Street Publications, but all views are my own.